Whew! I've been riding solo this week while Tab's been out of town so I'm stoked to see Friday. I'm joining Narci and Andrea to share our Friday Favorites. Hope you join us! I shared how cute these three were in the talent show last week. I helped out backstage and snuck a picture during rehearsals. They were so precious! Watching them perform was a FAVORITE! On Monday evening our local Kendra Scott held an event for one of my FAVORITE nonprofit organizations, Mission Reagan. Shopping for a great cause is always a FAVORITE! And seeing all these friends on a random Monday night was an added bonus! These cute earrings came home with me. They are a really pretty color. They'd make a great gift for Valentine's Day! I've already worn them once...would have been twice but Wednesday and Thursday I was in workout clothes all day. They just didn't "go" with the outfit. Ebby Lee's room is getting a face lift! When we moved in to this house about a year and a half ago, we did nothing to the kids' rooms. Now is the time! This is the theme for Ebby Lee's new room. We're still in search of a few things to complete the room and then I'll be ready to share. Seeing the end result will be a FAVORITE! Thank YOU for all your comments yesterday. For the next two months I am set with new EASY recipes for breakfast. If you haven't had a chance to read through the comments, go check it out. Everyone shared their FAVORITE go-to breakfast foods and they did not disappoint! 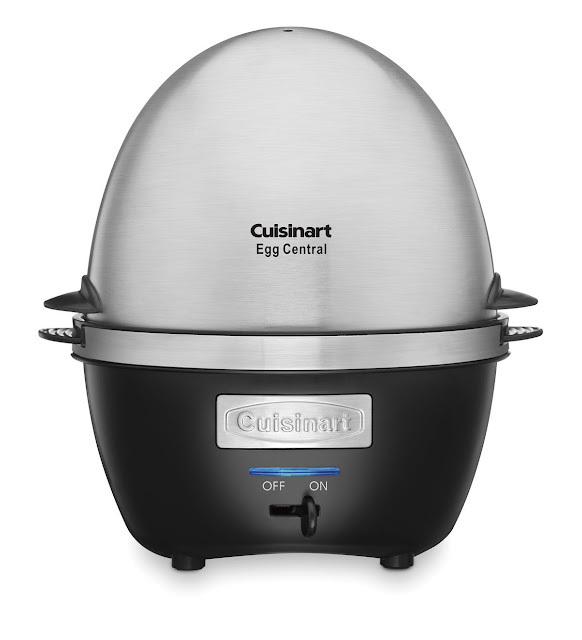 A sweet reader recommended this Cuisinart Egg Cooker....it hard boils and poaches ten eggs at one time. I was told it's super easy, not a lot of mess. I ordered it yesterday. Thanks for the recommendation! And I'll keep you posted. As much as I love giving you guys ideas, I think I love it just as much with you share goodies with me. Seriously, thank you all! I had a lot of questions about this dress. I ordered the my true size in parenthesis, so 6 US (fits like a 2-4) and it was perfect. It isn't lined, but there are two fabrics so kind of? The outer layer is the sheer polka dot and then there's another solid black layer underneath. Hope this helps! Seriously loving your outfit in the very last picture! 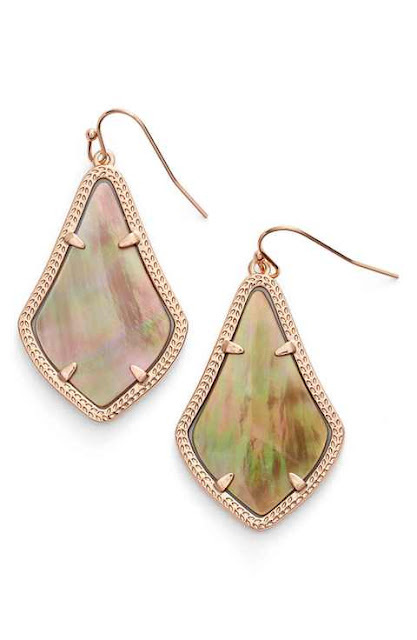 Also, so random that I also posted an item from Kendra Scott today too! I wanted others opinions on it! Hope you have a fab weekend! The earrings you bought on Monday night are super, super cute!! Those earrings are darling! And, I can't wait to see Ebby Lee's room! Happy Friday! I have those earrings in the same color (in a different shape), and the color goes with EVERYTHING. You're going to love them! I'm sad I missed the Mission Reagan event. I had planned on going, but that was one of the days that the mountain cedar was trying to kill me. Love the earrings. That new color is amazing. I am loving those colors and patterns for Ebby Lee's room! And I'm still loving those booties with that dress!! Happy Friday! Are you doing bunk beds in her room? Love the rug! It kind of goes with everything. Thank you! Yes, as crazy as it sounds all three of my kids want to sleep in the same room (even tho they have their own room) so we decided to get a bunk with a trundle and everyone can have a bed. Where are those fringe heels from in the last picture?!? Love a good excuse to buy some Kendra Scott :) Can't wait to see Ebby Lee's room! Happy Friday! I think I need that egg cooker too...I love having hard boiled eggs but never feel like making them! Such a cute dress and I love those fringe booties! Thanks for hosting! I think a hot mess of favorites is the best kind! Love them! That dress is too cute! Can't wait to see Ebby Lees room! Excited to see Ebby Lee's room! Such a pretty color scheme. Regarding your Q&A, coming from a mom's perspective, what clothing/shoe items do you deem a necessity for your family and what are the fun splurges? Do those sheets have the words to Lullaby printed on them? So sweet!! Where did you find them? My daughter is 5 and I've sang that song to her since she was tiny ;) She would love them! I'm loving the new earrings as well! They were a good choice. And I can't wait to see Ebby Lees new room! !